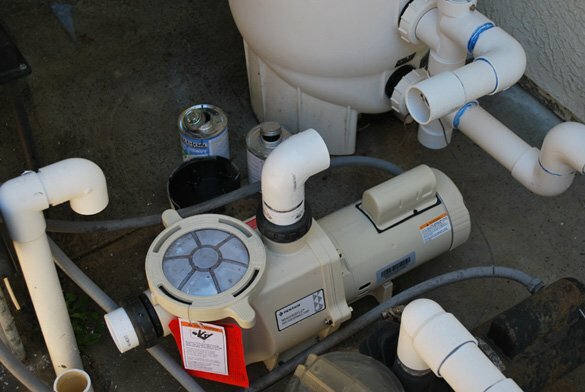 A San Diego homeowner in the Carmel Valley area called us with a question about their spa pump. 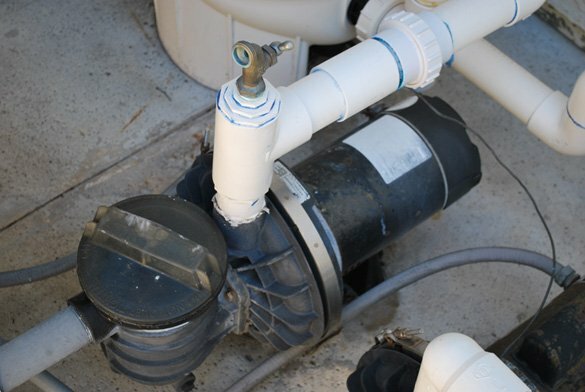 The .5 horsepower motor which circulates the water from their above ground fiberglass hot tub through the filter would not turn on. 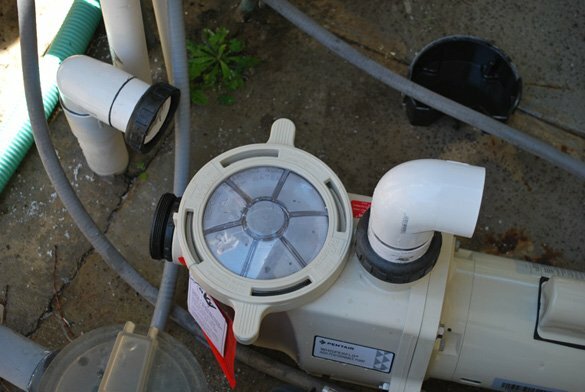 A variety of options were available to solve the pool pump motor option. 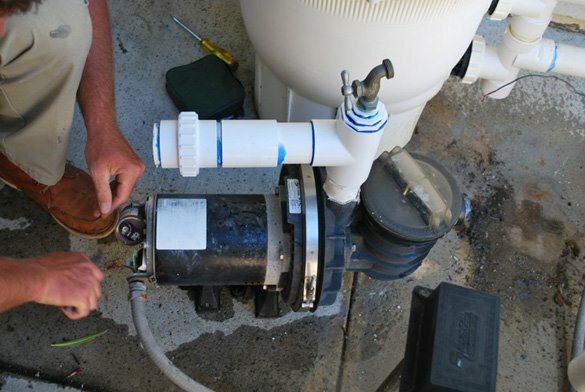 In California, Title 20 allows pumps and motors below a capacity of 1 to be replaced with a single speed motor or pump. 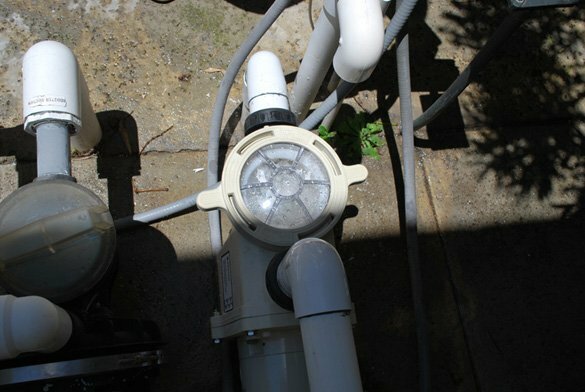 The homeowner did not want to repair the old .5 hp Sta Rite max-e-glas pool pump and did not want to install a 2 speed or variable speed pump. The hot tub equipment already had a separate jet pump which was working. After we removed the old Sta Rite pump we installed a .5 horse power Pentair WFE-2 whisperflo energy efficient pool pump attached with hi temp pvc unions for easy future removal. 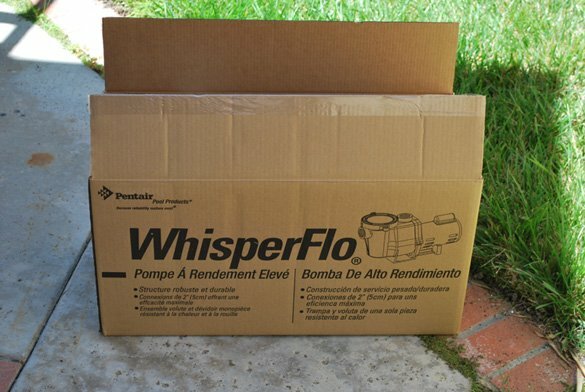 The .5 hp whisperflo pump met the Title 20 standard for total capacity which is the horsepower (.5) times the motor service factor (1.9) to equal a capacity less than one (.95). The homeowner was very happy that we could explain the various pump repair and pump installation options. Happily they were able to use their hot tub that evening.